As you know, most of what I post on the blog is photography related, but today I am writing about some of the great new technology I am using in other parts of my life. Yes, believe it or not, I do have time to enjoy things other than my camera and lenses, and is well known for those who know me personally, I love technology! When people ask me about my toys, I usually respond with "If it has batteries or plugs into the wall, I want to own it!" With that said, I am also very picky about the technology that I use. Since time is at a premium, the last thing I want, is to take a lot of time learning a product that is not well designed or will be of little use to me in a short time. I learned many years ago, from my good friend Steve Wozniak, that a really great technology product needs to be something that is easy to use and solves a problem. In the past couple of weeks, I have started using some really great new products, so good that I thought I would share them with you. This is a really cool piece of electronics that sits in my pocket all day long. This great little device monitors how much I am moving all day. My family gave this to me as a gift for Christmas, after hearing me ponder the great question, "I wonder how much I walk during a typical day of shooting?" 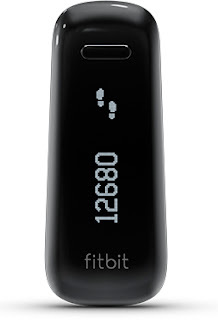 The fitbit One, as it is called, monitors how many steps I am taking per day, how many sets of stairs I have climbed, miles walked and more. All of this is captured in this tiny device and transferred to my iPhone through Bluetooth. This little $99 device has helped me get up and move even more. Now, after sitting at my desk for hours on end, I look down and see that I need to get up and move to meet my goal of 10,000 steps a day. Oh, and the answer to the big question, of how much I am moving during a typical day of shooting an event: 8 miles! I can't wait to bring this to Russia to see how much I walk each day at the Olympics. That should be VERY interesting. You can log into your own dashboard at fitbit.com to see how you are doing, or just look at your smartphone to get the latest updates. This is my weekly summary. I go to the iPhone app or the dashboard to log additional activities that are not tracked by the device. Like, when I play ice hockey, when I have nowhere to put the fitbit and don't really take "steps". After showing this cute little contraption to friends, many of them have gone out and purchased a fitbit for themselves. You can link up with each other and get a little friendly competition going, to see who can get the most exercise. I installed my Nest thermostat in the house about a year ago and I love this thing! After having a Honeywell thermostat for 20 years, it was time to have the heater in my house enter the 21st century. 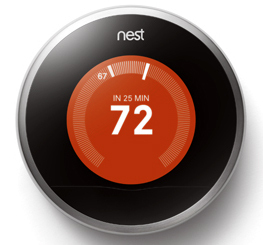 There are a couple of things about the Nest that make it stand out from all other thermostats. First of all, it was SO easy to set up. I connected two wires, screwed it into the wall and I was all set. This was designed by the original designer of the Apple iPod and it shows. Secondly, I did not have to program it, as it senses movement in the house and learns every time we turn the heater up or down, and it creates it's own schedule. And third, it is WiFi connected, which makes it really smart. I can control the Nest from anywhere in the world. Going on vacation? You tell your Nest that you are going away and it turns off the heater. But there is nothing worse than returning from a week long vacation to find your house unbearably cold. With the Nest, I can connect from the airport, and adjust the Nest from my iPhone, before we board our return flight. By the time we get home, the house has warmed up and we saved a lot of energy and money. Since it can connect to my wireless network, Nest can also update itself when there is a new version of software for the device. Lastly, it looks really nice. Nothing like the old ugly box that was on my wall before. If the people at Nest are reading this, please make an intelligent sprinkler control panel. I absolutely HATE all of the controls that are available today. And I would love to have one with a user interface designed for people and not engineers. Think about this people...a sprinkler system that is connected to your home network, so it would know the weather and adjust it's schedule based on the amount of rain in your vicinity. And I would love to control my sprinklers from my iPhone, especially after Winter is over when I am testing each zone. No more running back and forth to the garage to start and stop each zone. Are you listening my Nest friends? I have looked at adding web cameras to my home, for security reasons, but never really liked the complexity of the devices. While roaming the halls of the Consumer Electronics Show (CES) last month, I came across a device that really piqued my interest. It is called the Dropcam and it is incredibly easy to set up and use. You take the camera out of the box, connect it to your computer (using the included USB cable) and run the software, which is conveniently loaded in the camera's memory. Once you have married it to your wireless network, you unplug it from the computer and put it anywhere in your home. Using the same USB cord to draw power from any AC outlet, the camera is powered and ready to go. 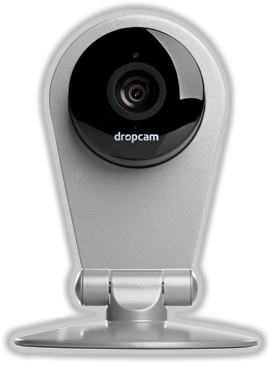 You can log into your dropcam web page or use an app on your smartphone to see what is happening at home, even if you are a world away. 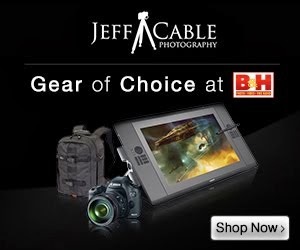 What makes this device even better is the connection between your camera and the cloud. I have never been interested in having a dedicated DVR at my house for security reasons. This seemed like a lot of setup and I figured that any thief could steal the DVR along with whatever else is in my home. With a cloud-based DVR, the data is stored remotely and completely out of the hands of those who should not see it. The software is even smart enough to let me know when the camera saw movement throughout the day. I have logged in numerous times to check this feature, and enjoyed watching video clips of my dog running around the back yard. The camera has night vision (with special infrared LED lights surrounding the lens) and provides reasonably good video quality in low light. I was happy to see that you can turn off the lights on the camera, since they were reflecting off the window in front of the camera. Some people are going to see this and think "How the heck can light bulbs be consider cool new technology?" Well...let me tell you...this is actually cool stuff, literally and figuratively. Ever since the introduction of LED lights, I have wanted to switch to this new technology to cut the energy use in my house. Where I used to have 150 watt bulbs, throughout the downstairs of our house, I now have 15 watt LED bulbs. They are brighter and run cooler than the old halogen types, and they don't have any of the drawbacks of the nasty fluorescent bulbs that energy companies and hardware stores have been trying to convince us to use. The problem is...these LED lights have been very expensive and the color has been way too cool for most people. Yep, us photographers are more aware of white balance than the average consumer, but even the average consumer noticed how "blue" these lights were! I have purchased numerous brands in the past year and was never happy paying $40 a light and getting output in varying colors. 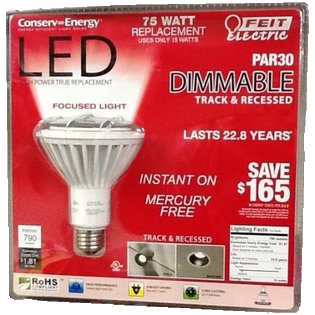 Then, about two weeks ago I saw that our local Costco store had Feit 15W LED lights for $16 each! I purchased 3 of them to test in my kitchen, figuring that at that price, I could take a risk and buy more than one. And, after installing them next to my halogen lights, and comparing the light quality, was absolutely sold! Just this weekend I went back to Costco and purchased 15 more of these lights. My kids are constantly leaving lights on at our house, but now I can breath a little easier knowing that these lights use 1/10 the power of the halogens I replaced. Yes, each light still costs more than a standard incandescent bulb, but these are more efficient and they are projected to last for 23 YEARS before needing to be replaced. And to make it even better, these lights are dimmable. Nice! Are you running to the store yet?